If you’re looking for a rugged SUV, you’ll want a vehicle with a luxurious and comfortable inside you can enjoy at the end of a rough day. 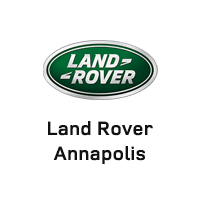 Learn about what’s inside the 2016 Land Rover Range Rover Sport with Land Rover Annapolis. The 2016 Land Rover Range Rover Sport has a cabin that’s designed with premium quality and sporty function in mind. It’s carefully fashioned with a contemporary look, with elegant lines and strong angles that provide a feeling of confidence. The clean soft-touch surfaces and delicate detailing ensure a hospitable and modern feeling that lets you feel great every time you climb in. The dynamic shapes and design complement the sharp and sporty center console, surrounded by the satin metal pillars that flow through into the rear of the cabin for a cohesive and striking look. 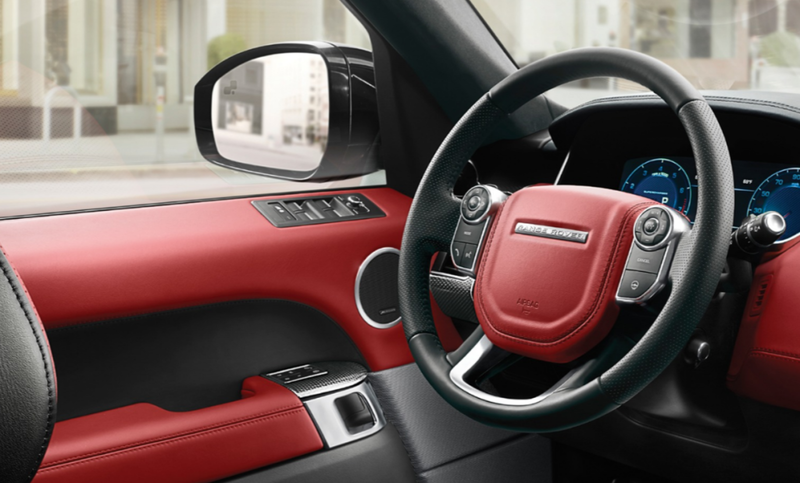 The inside of the 2016 Land Rover Range Rover Sport seats up to seven. The two rear seats stay under the floor of the luggage compartment until you need them, allowing two extra passengers to ride along. 14-way power adjustable sports seats include driver memory to let you retain your perfect settings, even when someone else has been driving. The SVR embossing on the buttery smooth Oxford perforated leather adds a note of class and sophistication. The automatic climate control offers up to four zones, with controls for the driver, front passenger, and both sides of the rear seats. This climate control system has been tested in real-world conditions through temperatures as low as -22 degrees Fahrenheit and as high as 122 degrees Fahrenheit. Outlets at face level, hip level, and foot level keep you cozy or cool no matter what the weather outside in Washington DC. The 2016 Land Rover Range Rover Sport is designed with a driver-centric ideal in mind. The ergonomic controls are made to keep your hands limber and keen, with intuitive placement that provides an engaging and easy driving experience. The layout of the controls has been simplified to keep your eyes on the road, while the angle ensures that you’ll be able to glance at your driving statistics without having to look away from what’s in front of you. The Sports Command Driving Position puts you in control, lifting you up so you can enjoy an unimpeded view of everything around you that lets you command the Arnold road. The rear seat entertainment system includes eight-inch screens, placed into the front headrests for easy watching. You’ll even get digital wireless headphones so the kids can watch a movie while you enjoy the peace and quiet. The 2016 Land Rover Range Rover Sport includes the InControl Touch Pro system, accessed by a 10.2-inch touchscreen with swipe and pinch capability. Listen to your favorite music or Internet streaming radio and enjoy crystal-clear concert quality sound with the premium Meridian in-vehicle audio system. The in-vehicle navigation system lets you receive real-time GPS information and traffic information, finding you the quickest and safest route through the streets of Baltimore. Intelligent voice recognition lets you use natural voice commands to listen to music, plans hands-free calls, find destinations, and more. Are you ready to conquer the road in your new 2016 Land Rover Range Rover Sport? Land Rover Annapolis can make it happen! Call us today at (410) 907-8300 or come see us at 101 Ferguson Rd, Annapolis.